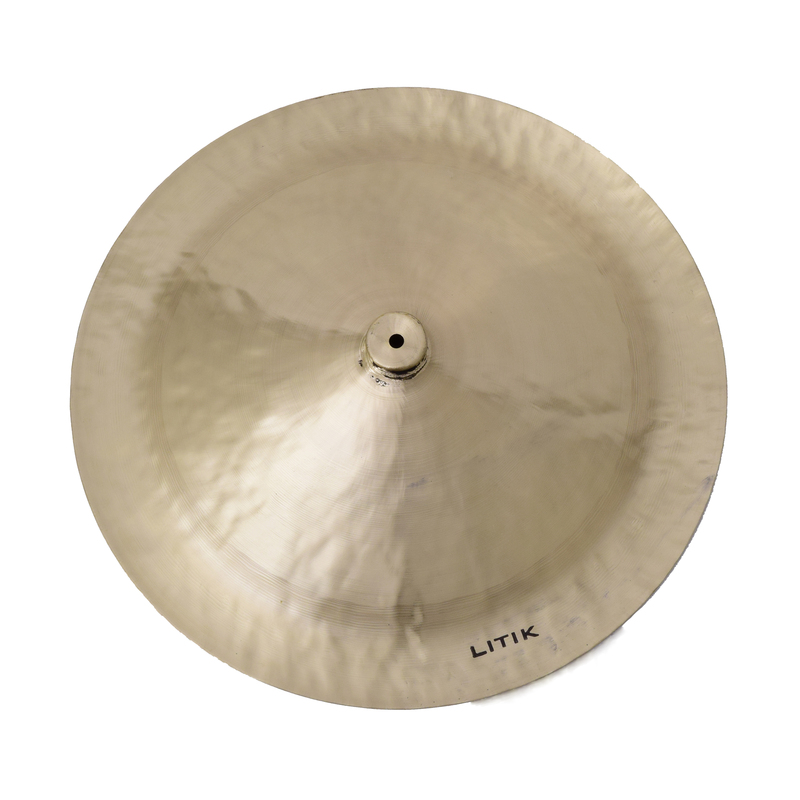 Litik China Cymbals are top quality, hand hammered, B20 cymbals. Traditionally, they are also called Lion Cymbals. Although Lion cymbals are most commonly associated these days with explosive accents used in rock settings and often seen as an effect cymbal, Lion or China cymbals have a long history as an essential part of a drummers cymbal selection. Lion cymbals have a quick speaking and trashy sound when crashed and a gritty, complex tone when used as a ride. When played with mallets they are capable of erie soft sustained long notes or roaring crescendos. Litik Lion Cymbals feature a slightly smaller bell which contributes to a more compact sound and makes them easier to slide into your cymbal bag.